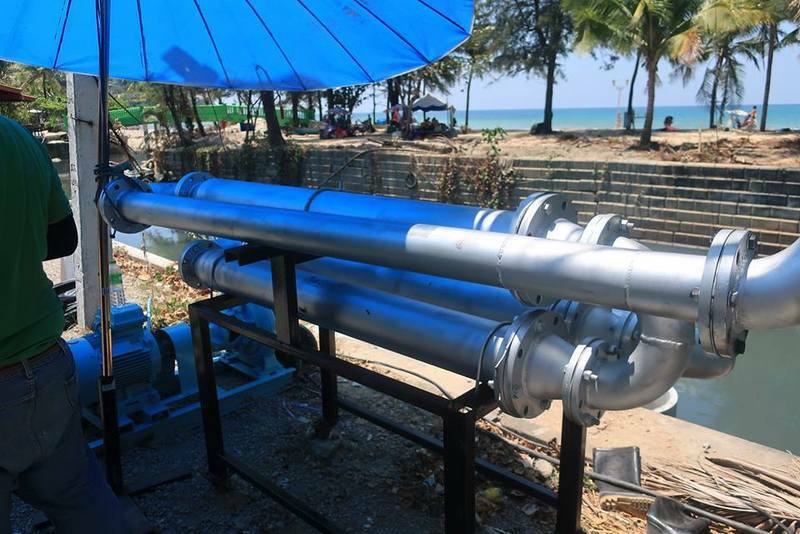 The first ozone machine came onstream last Friday (Mar 15) and is already yielding positive results, Nopporn Karuna, explained Deputy Chief of the Kamala Tambon Administration Organisation (OrBorTor). "We finished installing the first ozone system on Mar 14 and started the machine at 8:30am the next day,” he said. “We have been using the first machine nine hours a day every day, from 8am to 5pm. When the second ozone machine is installed, we will have both machines operating 12 hours a day,” he added. The second machine is being installed on the opposite side of the canal from the first machine. "I think the water in the canal has already started to clear, and the smell is getting better,” Mr Nopporn said. The contract is for both machines to be installed as a pair, he said. 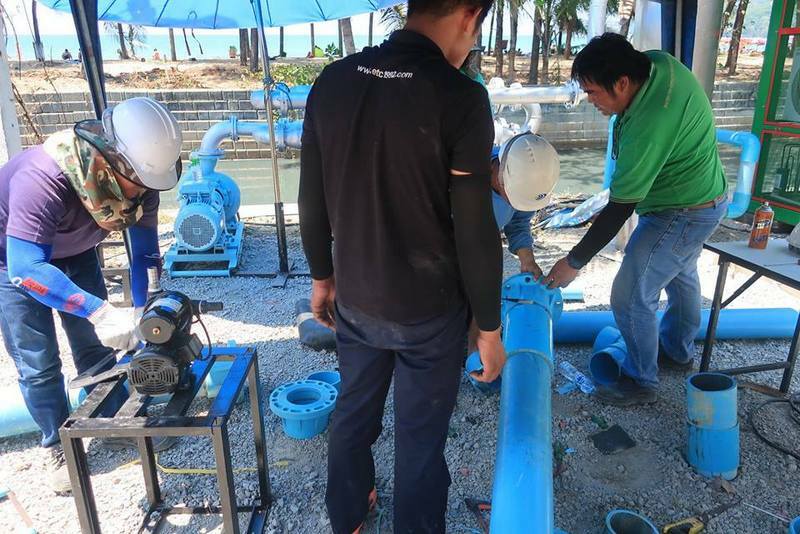 The move to install the ozone machines was inspired by the ozone treatment system installed in Cherng Talay. 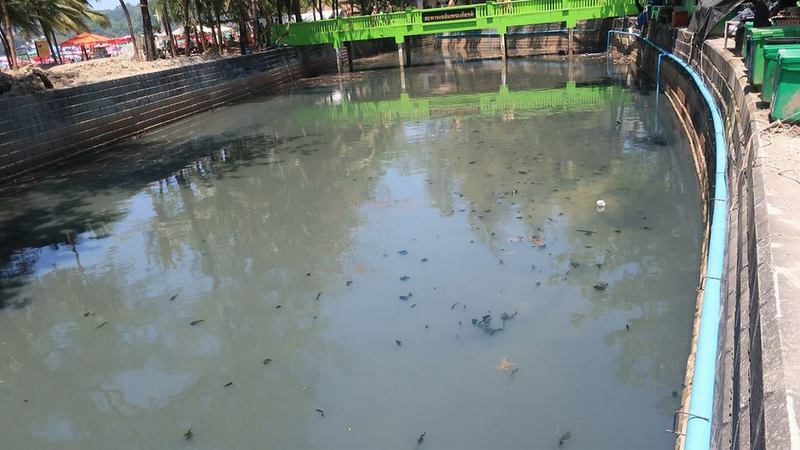 “We believe that after we start treating the water in the canal with ozone, the water in the canal will be clean in two months,” Mr Nopporn said last week. 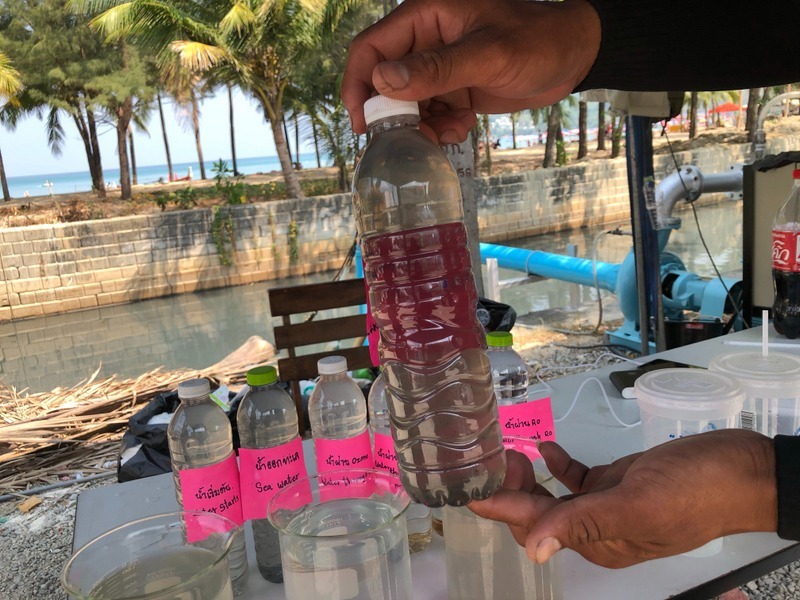 “The water quality will be checked by laboratory tests,” he added. 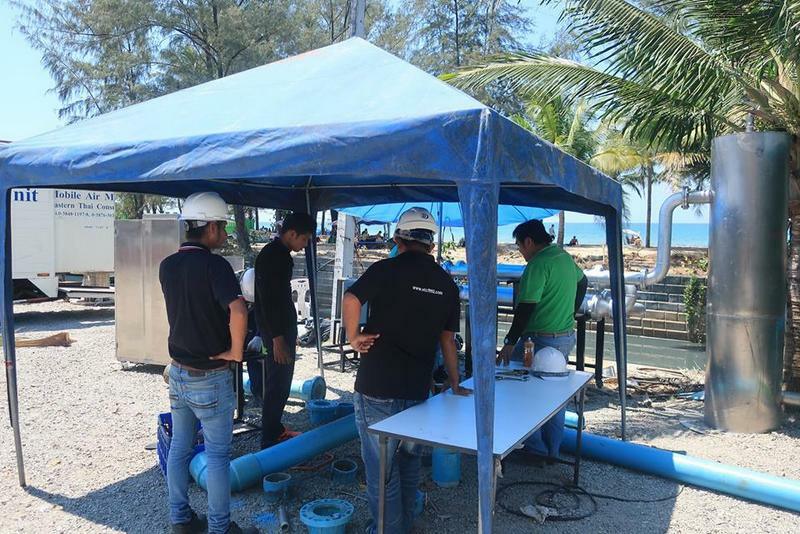 The treatment plant is scheduled to come into operation in February next year, and is hoped to bring to an end the ugly and dangerous recurrence of untreated wastewater fouling the beach water where tourists and families with young children swim. Why aren't the polluters, themselves, closed down? Wouldn't this be much less expensive, faster, and more efficient?